Mr. Van de Kamp, who received the LACBA Delegation Charles R. English Spirit Award, wrote about his time as a Delegate, “I have been a Los Angeles Delegate to the Conference of Delegates for over 30 years. I stay involved because I enjoy the intellectual stimulation in studying and hearing of areas of concern in the profession with which I'm not directly involved as well as the issues I know something about. I enjoy the debate--which at its best can be riveting--at times entertaining and humorous. And most of all, I enjoy the people--the lawyers--young and old who come year after year, to listen to one another debating the issues of the day, who enjoy one another." 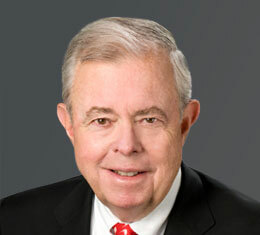 In addition to serving as a Delegate, Mr. Van de Kamp was the 2005 recipient of LACBA’s highest honor, the Shattuck-Price Outstanding Lawyer Award, for his extraordinary dedication to the high principles of the legal profession and to improving the administration of justice in Los Angeles County. A LACBA member since 1963, Mr. Van de Kamp served in a number of important positions, including the Courts Study Committee, Delegation to California Conference of Bar Associations, Task Force on State Criminal Justice, and Senior Lawyers Division Historical Committee. Funeral services will be private, but a memorial mass will be held at 3 pm on Thursday, March 30, at St. Andrew’s Catholic Church (311 N. Raymond Avenue, Pasadena, CA 91103; parking is across Raymond Avenue from the church). A reception will follow, also at the church. In lieu of flowers, may we suggest that gifts in his memory may be made to Dartmouth College (Scholarship Fund for the Class of 1956, care of the Dartmouth College Development Office, Hanover, New Hampshire 03755).